What happened before has happened again, and the blogaversary post proved to be too-packed with flashbacking wonderment to make the blog feed. So do click on over to “Retrospectacle 3: Look Who’s Blogging Now” to see the history of this now eight-year-old blog in visual form. So what’s with the Zelda reference? 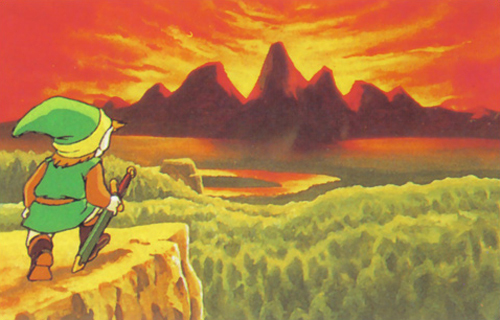 Well, it seems that today also happens to be the twenty-fifth anniversary of the original Legend of Zelda, and it’s so like a beloved childhood pastime to show me up on my special day. I guess I’ll have to blog a lot more actively in the next twelve months if I want to outdo Zelda in time for February 21, 2012.